63 years ago today, Laurence Tureaud aka "Mr. T" was born in Chicago, IL. Through movies and TV shows like Rocky III and The A-Team, he became one of the most iconic characters of the '80s. 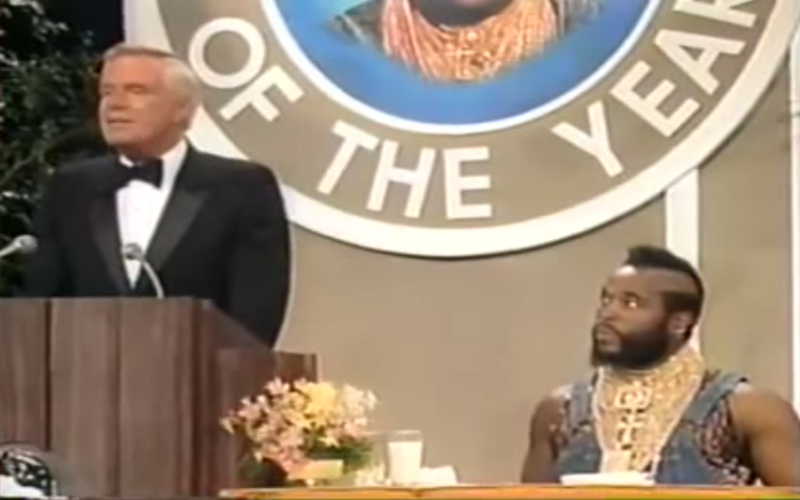 On February 23 1984, Mr. T was featured on Dean Martin's Celebrity Roast and "roughed up" by several of his Hollywood counterparts. Among the guests were George Peppard, Gary Coleman, Bob Hope, Howard Cosell, Nell Carter, Ricky Schroder, and more who jabbed a few laughs from Mr. T and also told about his compassionate side.